In this month marking Jesus’ death and resurrection, it is so important to remember how all three persons of God were involved in Jesus’ mission to reconcile all creation back to himself, all because of his immeasurable love for us! God is our power, shelter, and love everywhere in every way, and God’s love through Jesus is the central message of what we take across the street and around the globe. God’s love meets the needs of others and is demonstrated through action and sacrifice, not just words, and God’s love always focuses on the person. Thank you for praying for our mission work in Chile. Pray that we as Christians keep God’s love message clear and demonstrated, as our “Complete” God continues working through us. —We made two trips to middle and southern Chile in March, seeking and making contacts to purchase land on which to establish a children’s camp and retreat center. The trips were successful for varying reasons and during the last trip a repeat contact was made with Ricardo, the land owner who would be able to sell us roughly 50 acres of wooded hilly land located near Ñipas, where we have conducted children’s summer camps these past four summers. We are seen here looking at the written site plans of the land. Ricardo’s property will more than provide the space needed to fulfill the large vision God has given us for the property: a multi-faceted children’s camp, a year-round retreat center for a variety of ministries, a “prayer” path, and outdoor amphitheater. We now wait for him to examine the exact dimensions of the land and get back to us with what we hope is a reasonable price, as all similar properties we have looked at have been quite expensive. 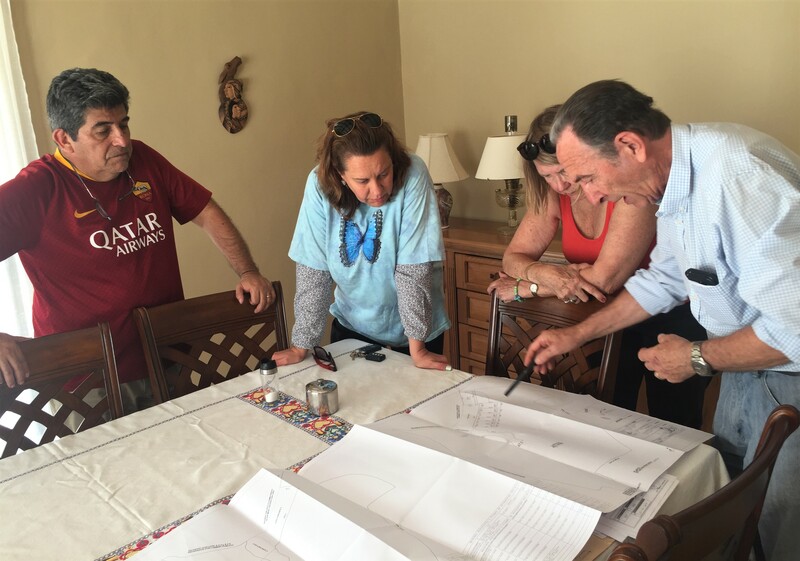 We, with Domingo and Sandra, also met with the mayor of Ranquil, the larger center of the surrounding towns, who would like to help us in any way he can. 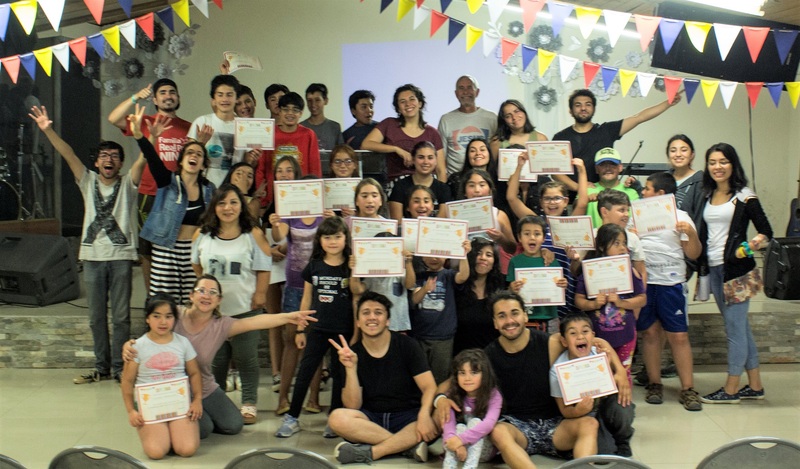 There are no other such Christian camps/centers that we know of in middle Chile, despite being positioned between Concepción (the second largest city in the country) and Chillán, another larger city that the Panamerican Highway passes through. 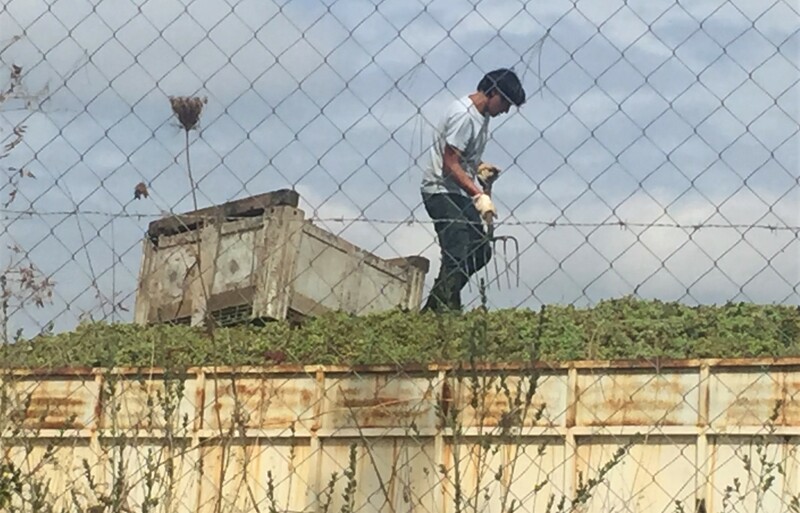 The mayor referred us to a neighborhood woman who will put us in contact with a group of owners of another large parcel of land directly on the river that runs near Ñipas. We did follow up on other contacts during our two trips south, but as often happens, the parcels ended up to be quite different than what they were “billed” to be. Thank you so much for continuing to pray for land! 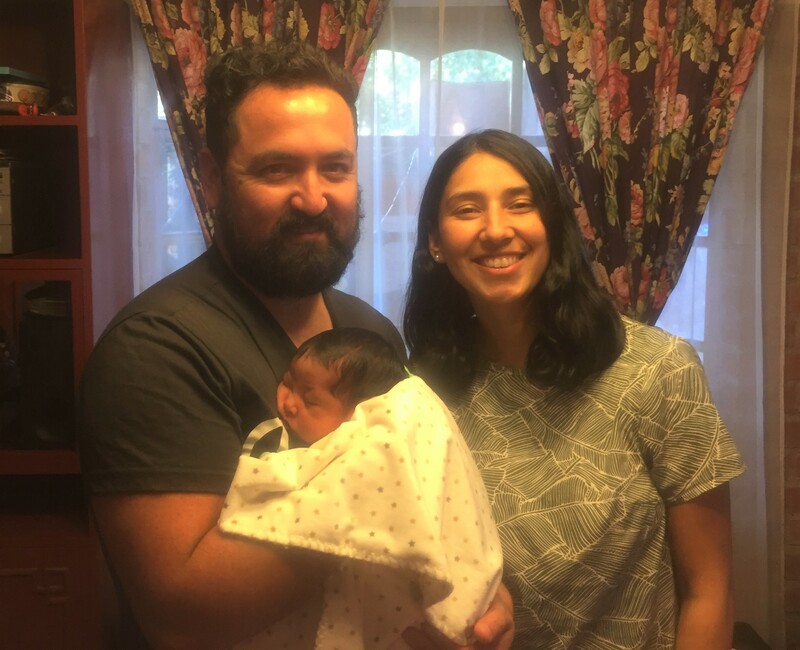 —Cesar and Camila, who live and work with us on our mission property in Santiago, now do have a healthy baby boy, Santiago, born on Saturday, March 16th. Pictured here, they find themselves in a new phase of family life! Congratulations to them and thank you so much for your prayers for the final weeks of Camila’s pregnancy and for Santiago’s birth. Lastly, we will be spending the last two weeks of April with Julian & Devyn in Peru. What a blessing to be able to periodically visit them! Reading in Acts 1, the disciples had been told by Jesus to “not leave Jerusalem, but wait for the gift my Father promised, which you have heard me speak about.” Then in verse 8, just before ascending into heaven, he charges them, “You will receive power when the Holy Spirit comes on you; and you will be my witnesses in Jerusalem, and in all Judea and Samaria, and to the ends of the earth.” In verse 12 the 11 disciples do return to Jerusalem, and then we come to verse 14: They all joined together constantly in prayer, along with the women and Mary the mother of Jesus, and with his brothers. Then later, as Paul (Saul) and Barnabas are set aside by the Holy Spirit and sent off by the church in Antioch on a missionary trip to Asia, we read in Acts 13: 2-3, While they were worshiping the Lord and fasting, the Holy Spirit said, “Set apart for me Barnabas and Saul for the work to which I have called them.” 3 So after they had fasted and prayed, they placed their hands on them and sent them off. Our point? The “Great Commission” given to all Christians by Jesus has always been “bathed” in fervent prayer and fasting, from the praying of the apostles and first Christians for the arrival of the Holy Spirit in the 10 days leading up to Pentecost to their being set aside and sent out to this very day. God still sets us aside in response to our prayers, guides our choices and paths forward in response to our prayers, prepares us in response to our prayers, and send us off in response to our prayers and fasting. In short, PRAYER AND FASTING HAVE ALWAYS BEEN AND WILL ALWAYS BE AN ESSENTIAL COMPONENT AND ENABLER of extending Jesus to the world! God “moves” when whole churches fervently pray and fast. Thank you so very much for your prayers for us and others in the carrying out of Jesus’ Great Commission!! For years we have been asking for your prayers as we seek land on which to establish a permanent children’s and youth camp/retreat center in middle Chile. 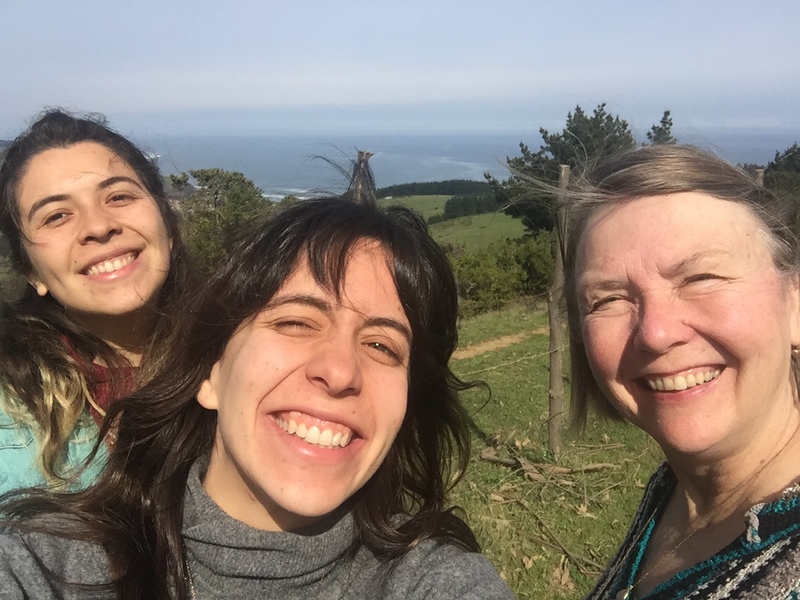 Domingo’s and Sandra’s daughter Viky was recently contacted by a Chilean real estate agent that she has been in communication with that there is a good-sized parcel of land for sale near Licantén (the site of our second children’s camp last month) with access to water and a river. We have an appointment to go with Viky on March 10 to see it if it is still available. We will worship with the church in Licantén that weekend and then go to view the land. Thank you for praying for this possibility that God has set up. We give thanks for a recent 10-day visit of a young Christian couple, Mark & Ellie and their one-year-old son. They embody the Christian’s response to Jesus’ charge to the original disciples and Christians to go and they feel led to serve him in another country. They in turn felt guided to check out Chile first. Very cool! 😊 Their time with us was very blessed and through all of their and our joined prayers on their behalf, God WILL lead them forward to where they will continue to serve him according to his will and plan for them. Their life journey is another example of God’s response to fervent prayer in setting aside, guiding, preparing and sending his followers out. Please join us in praying for their (and others like them) path forward. We give thanks and praise for the February 27th 52 baptisms (41 men and 11 women) of men (and wives) participating in the drug & alcohol rehabilitation program at the Casa del Alfarero (House of the Potter) Christian live-in center for men where Jack is involved once per month in their morning devotions. It was a beautiful day of celebration and family. The program at the center runs a full nine months and is geared toward the entire family, focused on nothing less than the “rebuilding and re-birth and life” of the men. Thank you for praying for these men’s and their families’ going forward. Please pray for the last few weeks of Camila’s pregnancy and safe birth of their first child, Santiago. She is due around the 25th of March. Cesar & Camila are the couple who live on our mission property and handle all details of mothers and children who come to one of our houses while in Santiago for the long-term medical treatment of their child. Our two January summer camps for children just ended and we are giving God thanks and praise! The above verse was used to highlight this year’s theme and teaching that God uses ALL of us, including children, who belong to him through Jesus to carry out his work. There is no limit to what he can do through us because we who belong to him have ALL of God in us, including his power. The children needed to know that this is a daily thing—not just a camp thing—all because God loves them and has chosen them and wants them to grow in him. In reality, John 14:12 is an important verse for us all to own and practice!! The above is quite a short summary, of course, of the camps. They included teachings, small group times, games & fun, pajama parties, the outdoors, and lots of support and interaction with the young adults who carried out the activities. The first camp in Ñipas ran 3 days, with 42 children participating with a team of 13 young adults (and me, Jack 😊). This was our fourth year of “camp” in Ñipas. The second camp in Licantén—2 ½ hours northwest of Ñipas—ran 2 days, with 32 children participating with a team of 16 of us. Most of the Licantén children were not from the church, but were friends and relatives—another reason to praise God. This was our first year of doing the camp there, alongside of the church. Please pray that all of the children from both towns would go forward with a real Jesus in their lives. The teaching was God/Jesus centered, concentrating on his love, hope, and power through us. We used the Biblical examples of Esther, Joseph, Josias, and David, ending with Jesus himself. All of the young adults were well-prepared for their teachings (they coordinated and ran all teachings and other activities). Even more important, they all were totally connected to their work and with each other, giving 100% of themselves in interacting with the kids and especially in reaching out to the ones who were harder to connect with. Here below are four of the many photos we took. 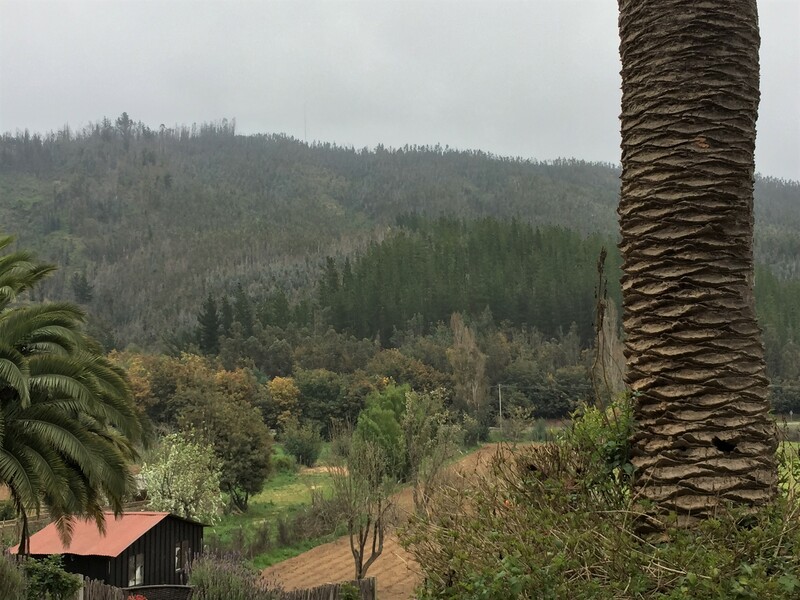 While in Licantén, we looked at two large, wooded properties in our search for a permanent home for the camps and retreat center, but neither one fit what we will need. Specifically, we are searching for a tract of land consisting of between 30 and 50 acres—one with much wooded, hilly land with buildable more level areas included. It would be a plus if a stream or river was a part, and if not, at least nearby and accessible. It also needs to have reasonable access to both electricity and drinkable water. 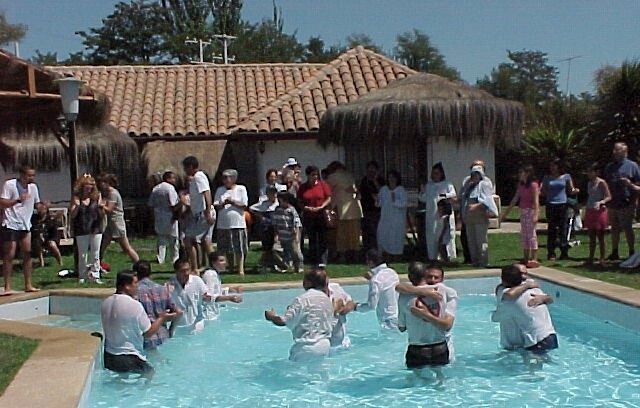 There is a great lack of Christian camp/retreat centers in the middle part of the country, near to some of Chile’s larger city populations. Please keep praying for God’s provision of land. We are planning on being in the States in June, July, and part of August to attend Christian children’s camps—hopefully along with our Chilean partners Domingo & Sandra and daughters for part of the time. The objective is to learn from the dynamics, teachings, and methods used at those camps. The camps and their development represent one of our main focuses in Chile. What better time to come to Jesus than as a child?? The future retreat center promises to be a year-round center for people of all ages, families, marriages, and churches. Janine and I are so blessed to be included on the front end of this significant ministry of the Lord! Thank you again for your prayer support! Janine’s mother’s funeral in Indiana in January went very well. We are grateful that Janine was able to then go to Jayme’s & Malia’s house in Birmingham, AL to help with finishing major changes to their kitchen. She is now in Los Angeles, where all four of our children and grandchildren will be able to gather for one week early this month. With Julian & Devyn living in Peru for another year, this will be a special treat for them all. Taken from the Proverbs and from Paul’s letter to the Colossian Christians, the three words trust, acknowledge, and gratitude are so important in recognizing and honoring God’s past hand in our lives AND in going forward, no matter the setting or circumstances or culture! These verses well sum up our frame of mind entering 2019 in Chile. Our goal is to use our January Praises & Prayer Requests letter to highlight recent Chile ministry progress made through 2018 and share our “God exhortations” for this new year. As with all of our other ministries, our work has been made possible through God-provided relationships between Christians, churches, and other Christian ministries. Cesar and Camila, who live on the mission property, are the key people who carry out the day to day work of the mission with our guest families, and we are very grateful for them. Thank you for praying in 2019 for the property, the board, for Cesar, Camila, their new baby and for us as God works through the mission in Santiago. 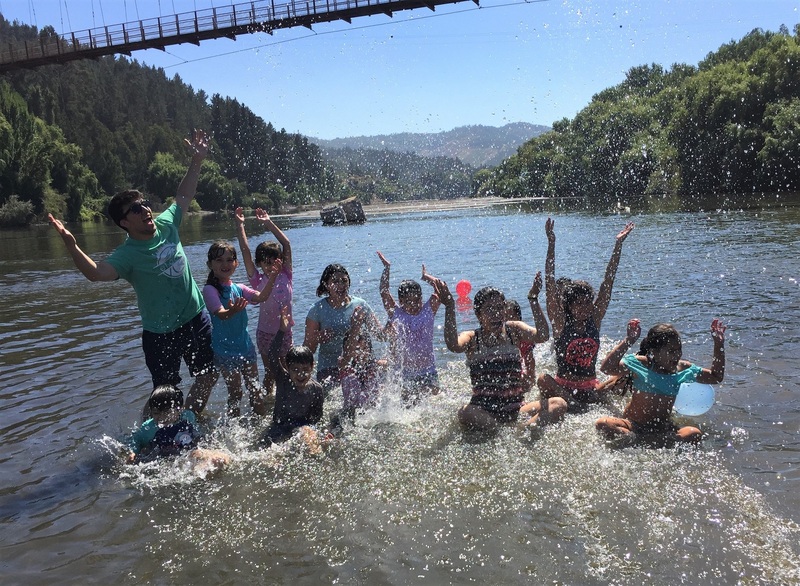 Summer camps for children in middle Chile are once again upon us this first month of summer 2019, and we are excited. This year prepared for and guided by Domingo’s and Sandra’s two adult daughters, Viky and Renata, God leads and we follow in the development of this important ministry toward the future, as we continue to seek the property to provide a permanent home for the future camps and retreat center. We are indeed grateful, as we acknowledge his blessing of the yearly camps and growing relationships we have with churches in the broader region. We also trust in his perfect timing in it all and in his leading us to his chosen property to purchase and build on. Our expectation and faith in him are huge, entering 2019! Thank you for joining us in prayer for this year’s camps in Ñipas Jan. 23-26 and in Licantén Jan. 28-31. 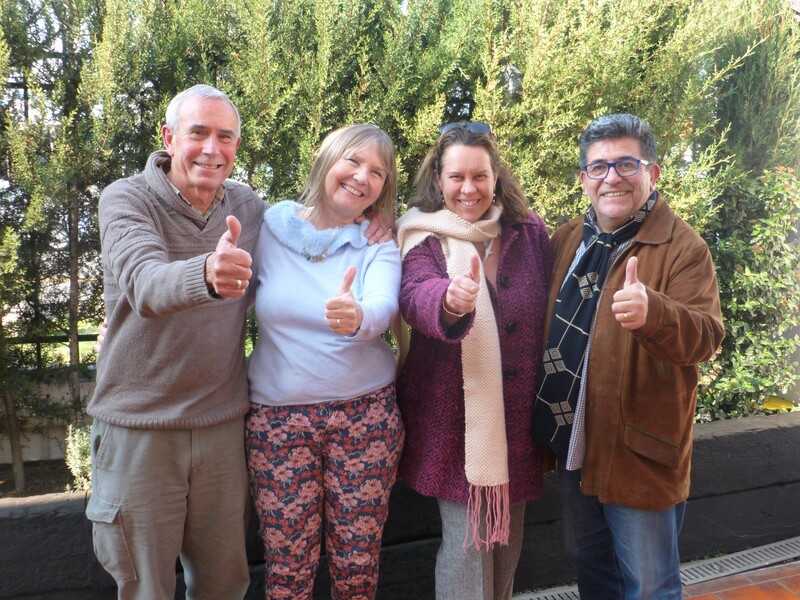 Thank you, too, for praying that we and partners Domingo & Sandra will soon find property in middle Chile to purchase for camp and retreat-related ministry!! We maintain several on-going healthy relationships with Jesus-led churches and Christians in Chile and in the U.S. because it honors and acknowledges his body in the world and also puts his Chile ministry where it belongs—in and through HIS BODY and through HIS CHILDREN working together to HIS GLORY. Thank you SO MUCH for being that partnership with us and us with you!! We SO appreciate and value you and our like-minded relationship with you!! 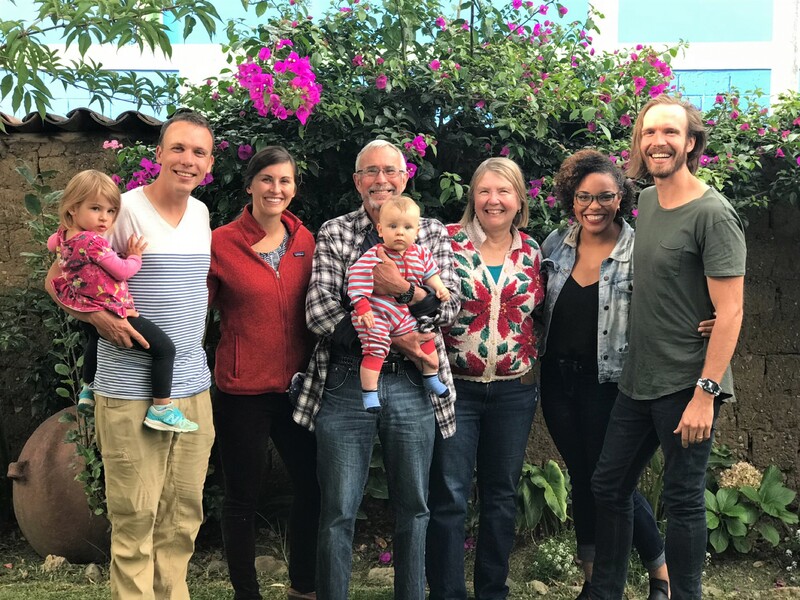 It would have been totally complete to be together as family this past Christmas, but what a joy to spend it with Julian & Devyn and with Jayme, Malia, and kids in Curahuasi, Peru! We talked and hiked and enjoyed time together with each other and with Julian’s and Devyn’s friends. Here are some photos…. Janine’s mother passed away on Dec. 19. A Christian woman, she died in her sleep, her physical strength gone from fighting against on-going health complications. She was 97 and was blessed by the Lord in many ways throughout her life. Thank you for your prayers as Janine flies to Chicago for the visitation and memorial service on Jan. 11 at Wittenberg Lutheran Village in Crown Point, IN where Norma lived. The visitation will be from 11:00 to 1:00, with the service following at 1:00. The family will then travel to Detroit on the morning of the 12th for her mom’s burial. How very similar, Israel’s approach to life at the end of the Book of Judges and that of so many people today, as we, too, “do as we see fit” and decide our own “truths”. How amazing and wonderful, Isaiah’s prophecy of Jesus’ coming—the same “I am the way, the truth, and the life” JESUS!! This month we celebrate Jesus’ birth. He IS the REASON for the Season and the REASON we are alive everywhere in the world with hope and purpose. Let’s celebrate his birth and arrival by re-committing ourselves to him and to life! —The ICOM was very good, as always. 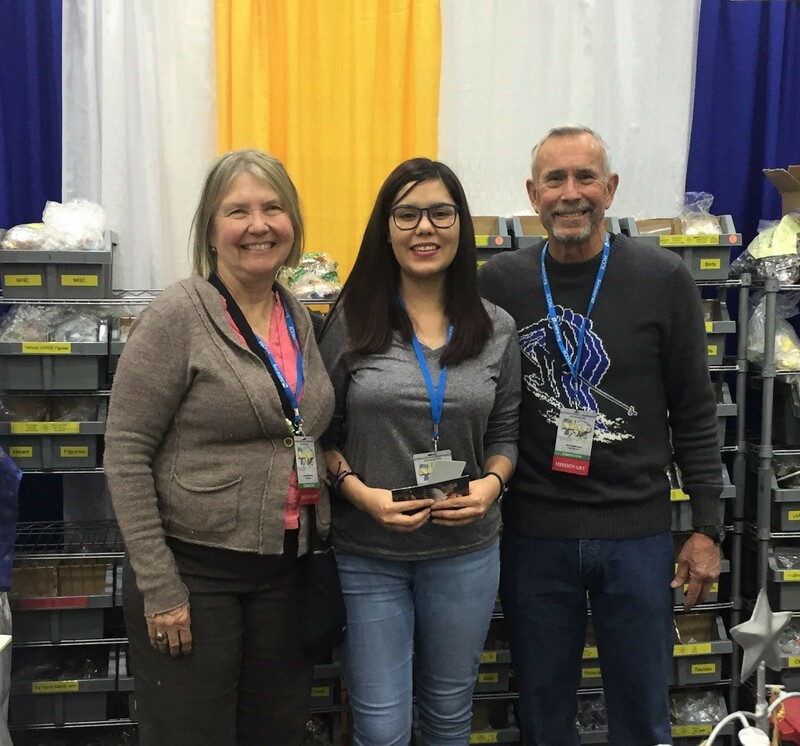 There were inspiring speakers, and many “how to” workshops and exhibits showing what God is doing in the world. 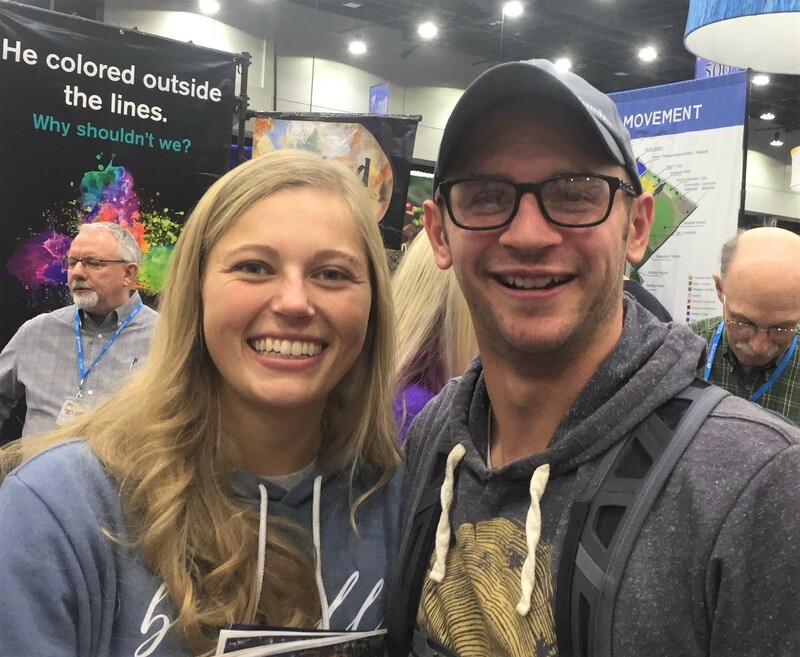 We had the opportunity to connect in different ways with many who stopped by our booth (photo 1), see Jason (a year-long intern to Chile in 2011) and wife Kate (photo 2), and see Daniela from Chile, now studying at Mid-South Christian College in Tennessee (photo 3). With God’s blessing we will be a part of ICOM 2019 in Kansas City, next November 14-17. Please join us in continuing to pray for the work and growth of Jesus’ Church in the world. —Cesar & Camila are off to a good start on our Santiago mission property, receiving mothers and families from different parts of Chile arriving with their children who are in long-term medical care. Thank you for continuing to pray for this significant ministry. We also pray for Camila’s pregnancy. She is due in March. 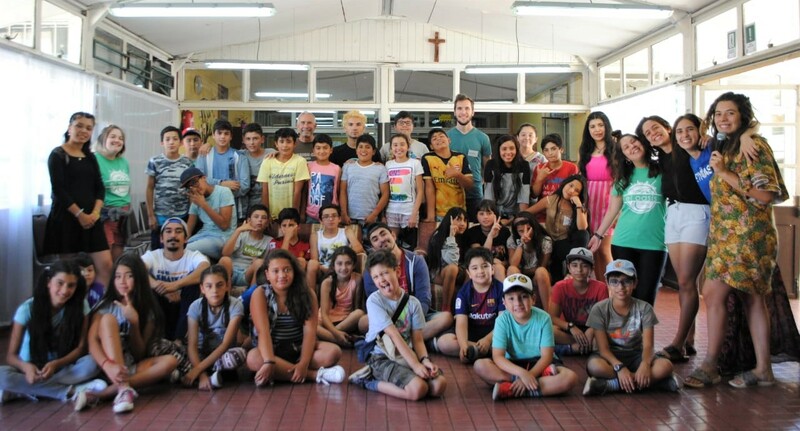 —Upon returning to Chile on December 9th, we will be meeting with Domingo and Family about our readiness for the up-coming children’s summer camps in January. As previously mentioned, their adult daughters Viky & Renata, will be leading these camps. Please pray for all preparations, for the hearts of parents willing to send their children (8 to 12 years of age), and for good community support and involvement. The camps are creative and instructional in an outdoor setting. Children are so open—how good to influence and teach them about a God who loves them through Jesus. We will also speak to Viky & Renata about accompanying us to the States in June to visit and be a part of children’s camps to learn more about Christian camping and see the dynamics and outdoors used to teach Jesus and respect for others. Pray for the availability of their time to join us in the trip. 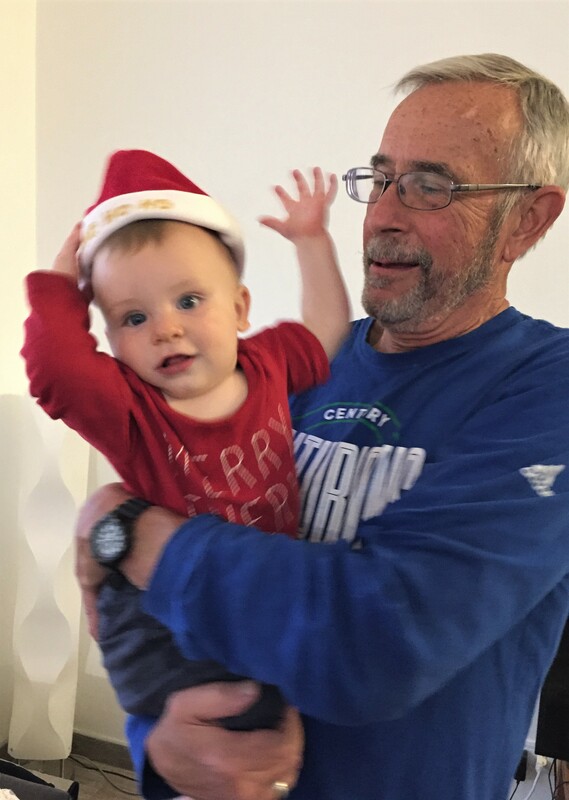 —As an extra special blessing, we will join son Julian & Devyn in Peru for Christmas, and not only them, but also son, Jayme, with Malia and their two children. Malia, currently in Family Medicine residency, will spend the month of December in the hospital where Julian works, with Julian as her supervising doctor. Please join us in giving thanks and pray for a blessed Christmas. Jesus DID come into the world to heal, touch, and connect with people, living what he taught, and then dying for us all to reconcile us back to God. He now lives in all of us who accept him, extending himself through us to reconcile all of creation. (Col. 1:19-20) Thanks to you all for prayer-partnering with us in Chile! MERRY CHRISTMAS as we together praise, pray, and fast to the One, True God who came into the world to save and reconcile it. The above verses are very clear AND very exciting for both the church and for its sent missionaries! Thank you, Churches, for sending us to Chile; thank you, Churches and individual supporters, for supporting us—especially through your prayers!! Today’s churches are the extension of the first churches! 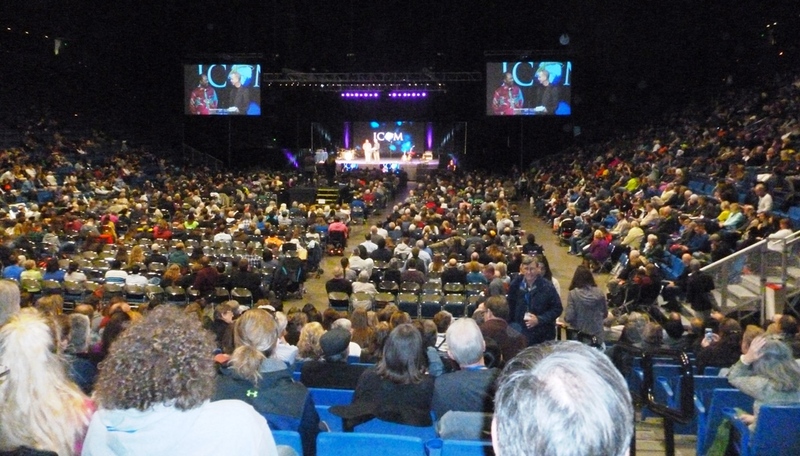 Please pray for this year’s ICOM (International Conference on Missions) held November 15-18 at the Duke Energy Convention Center. 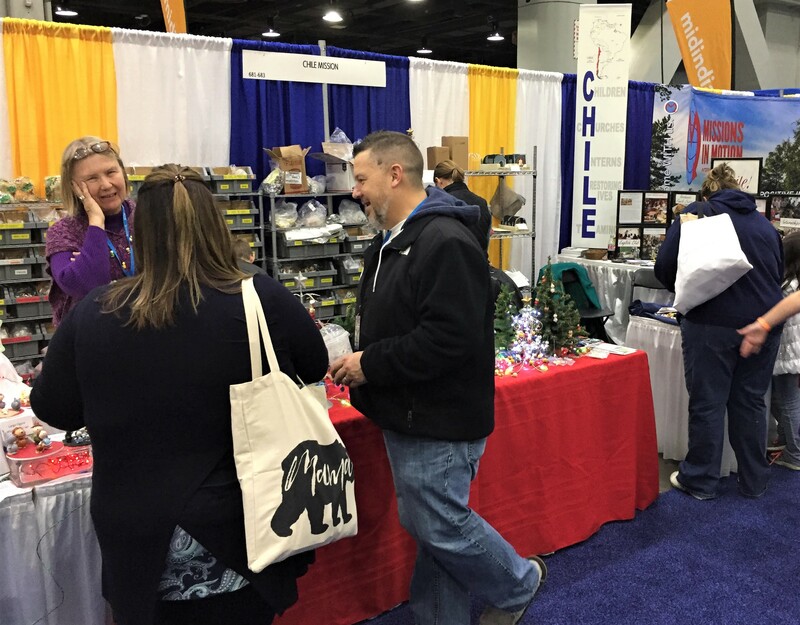 We annually have a booth at this excellent, Great Commission conference, and we encourage all to attend, with its great general sessions, useful workshops and interesting booths (like ours! 😊), and special programming for adults, teens, and children. If you plan to attend, please pray for it and come by and see us, and if you can’t attend, mark those days on your calendar to pray for it. Jesus, through all of us in his Church, will always be the hope of the world! 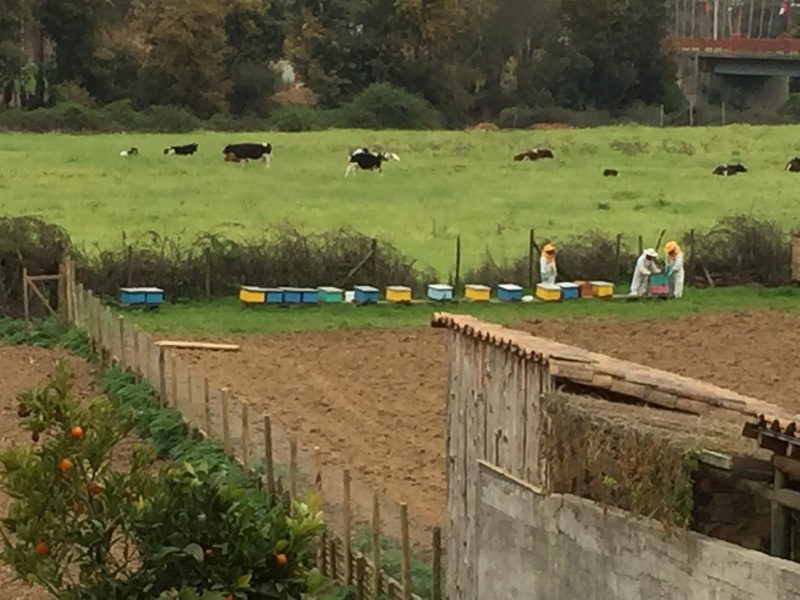 —Thanks for praying for our October return visit to Licantén and Vichuquén in middle Chile! 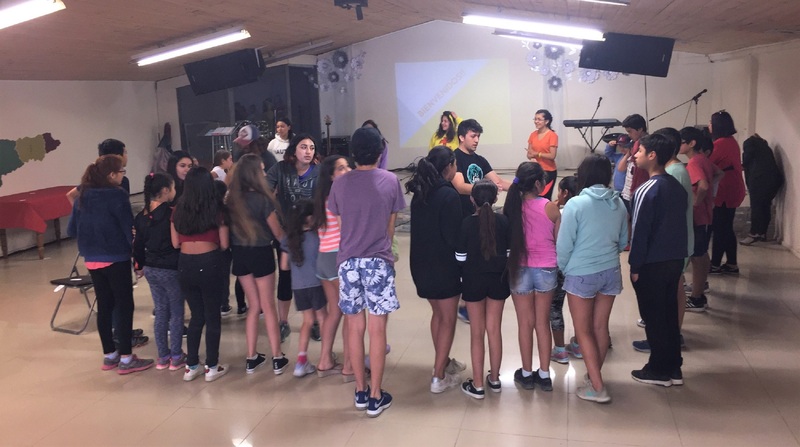 The House of Prayer Church in Licantén is ready to sponsor one of our two summer children’s camps this coming January 2019. PTL!! We also were able to see some wooded parcels of land for sale near the lake in Vichuquén. Neither parcel provided what we will need for the site of the retreat center/children’s camp in the future, but we were able to establish more good contacts in this all-important search. Reasonable prices are also a main issue. Please continue praying for our on-going search for the right land to purchase and develop. Funds have been donated (some several years ago) and will be used for this purpose! Regarding our January 2019 summer camps, Jack met with Viky and Renata, Domingo’s & Sandra’s grown daughters, who will lead the planning, preparations for, and coordination of the camps. We are planning two camps—one in Ñipas for the fourth year in a row and one in Licantén. Both girls are capable and have participated in helping lead in our past camps. Please pray for them as they initiate first meetings with those that will be a part of the leadership of the camps. —Ross & Raquel left for Australia on October 29 for Australia, arriving there safely on the 30th. In the meantime, Cesar & Camila moved into our ministry site the last weekend of October, ready to begin serving in their new role overseeing the mission site. They are enthusiastic about their responsibilities here and are anxious to serve. Please be praying for their adjustment into their new setting and roles. Another PTL!! —Lastly, thank you for praying for the on-going development and good going forward of our Foundation! We are broadening our vision and are increasing our number of board members from four to five—all legal steps such as these take time to finalize with the government. We are also planning to visit summer camps in the States this next U.S. summer and we are hoping that Viky & Renata will accompany us. The purpose is to focus on the main “how to” of Christian children’s camps. We are interested in visiting several camps for a week or less, so please contact us should you want us to include your camp. What a glorious ending in store for all believers and followers of Jesus! The church is called to be God’s living multitude testimony in those we work with and in all those that we seek and invite into fellowship. Multitude not only is the result of the oneness and unity of all believers that Jesus prayed for in John 17, it also adds power and depth to the many of you who faithfully pray for us and for God’s mission in Chile. Here on the mission field we especially reflect multitude and we pray the same for you as well. Thank you to all of you!! 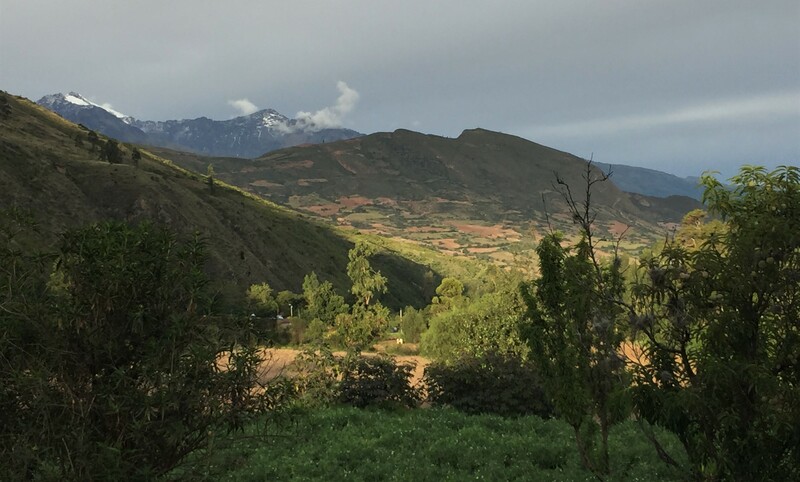 In September we were blessed to visit Julian & Devyn in Curahuasi, Peru. The hospital staff is a great example of multitude, arriving from many places and countries to work together. 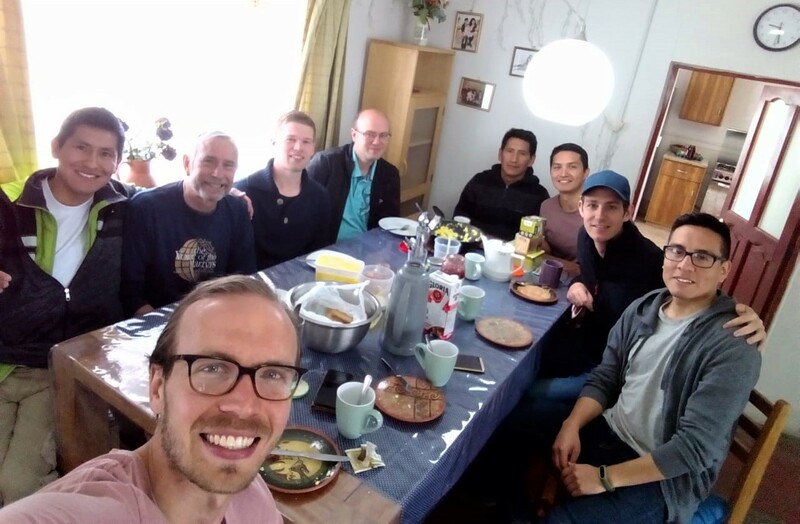 The first photo is of the monthly Saturday morning Christian men’s group, which Jack was able to attend with Julian—men from European and South American countries & the U.S. praying, studying, and fellowshipping together. Jack is also pictured sharing a message during a weekday chapel at the hospital. 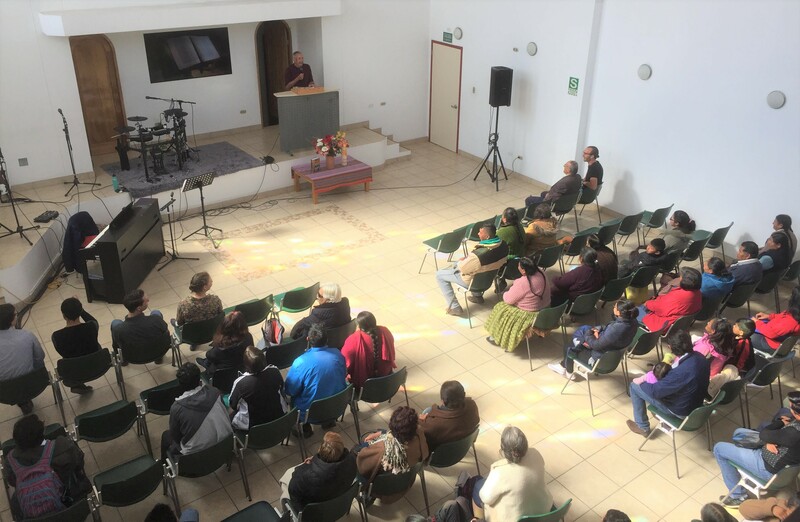 Children’s camp/retreat center & Foundation: We travelled with Domingo & Sandra Aguayo’s family in September to middle Chile to meet with a church that wants to host one of the children’s camps this next summer in January or February, 2019. Domingo’s and Sandra’s girls, Vicky & Renata, will be leading and coordinating the summer camps. We also visited a nearby lake in Vichuquen during the trip and were all impressed with the area’s suitability for a children’s camp & retreat center, with its forests and lake access. In mid-October we plan to make a return trip to the area to visit again with the church and hopefully also see parcels of land for sale. 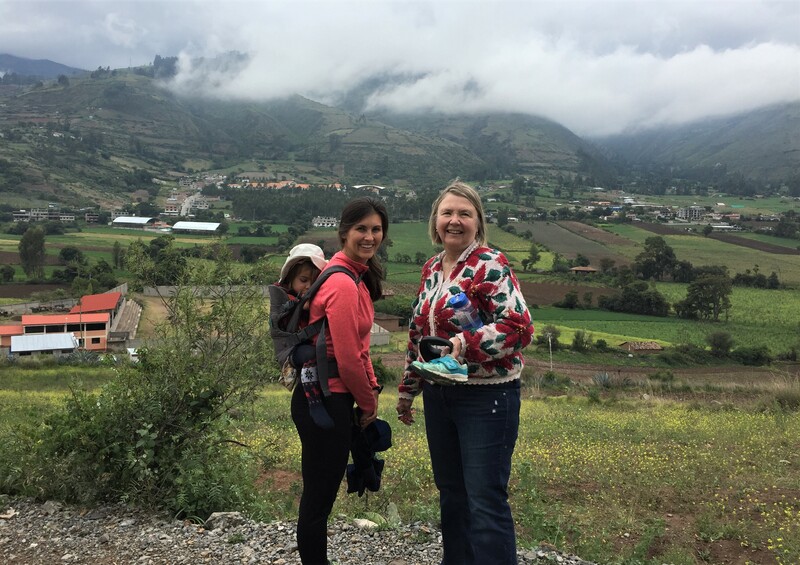 Here are two photos from Vichuquen and one of Janine with Vicky & Renata. Together with the Aguayos we decided to include the new work in middle Chile as part of the Santiago Foundation, rather than forming a new Foundation at this time. This will allow for an immediate going forward under the direction of the existing board of directors, realizing that changes in the make-up of board members will most likely occur. It is the goal of us all that God is glorified and that his working in the country will go forward and broaden as well. Thank you for praying for these decisions and for the spreading and impact of our summer camps, as well as for God’s provision of the exact land for this important work! Going forward without Ross & Raquel: After much prayer and discussion, Ross has decided to return to Australia for an indefinite amount of time to care for his mother. He and Raquel will be leaving at the end of October and they have introduced us to Cesar & Camila, a couple that very well might replace them, moving into the mission property also at the end of October. They are very active in their church and we have met with them twice about the work of our mission on our property. Ross & Raquel know them from working with them in an African Mission ministry to Kenya (http://www.misionafrica.org) and we are very impressed with them as well. They have been married over 5 ½ years, and Camila is pregnant with their first child. Camila also has many contacts for networking. 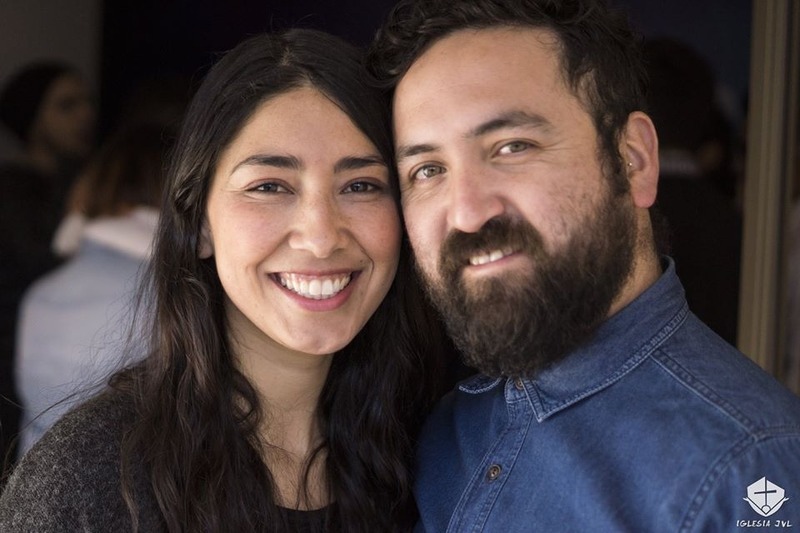 Thank you for your prayers for Ross’ and Raquel’s decision and their adjustments in Australia—especially Raquel– and now for the possible transition of Cesar & Camila to the mission property. Our foundation board will need to approve both of the above changes early this month. New director of the mission’s Santiago work: We will continue to put out feelers for the right person to be director of the mission’s Santiago work. Thank you for continuing to pray for God’s provision of this person.